Letting kids be themselves allows for space to let the magic moments happen. Those little bits of time when your children forget I am there, and they just want to play and be themselves. They forget I have a camera in their face and just have fun. It's wonderful when parents can get to that point as well. The nerves go away, and you realize family portraits aren't so bad after all! Outdoor family portraits at Wash Park are very popular. I schedule them in the early morning or early evening, close to sunrise or sunset. Denver has a ton of parks where we can meet, but Wash Park seems to be centrally located for many. We often meet at your home, and then head out to a nearby park for outdoor photos of the family. It's wonderful to have an activity for the children to do. 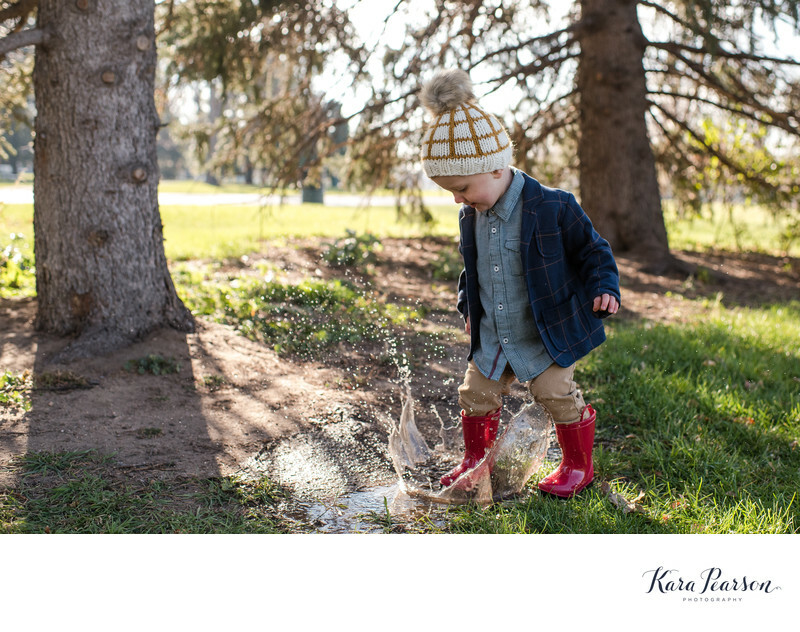 Bubbles, hide and seek, baking cookies, skipping rocks, playing in a creek are all great ideas for fun things to do with children during our family portrait session in Denver. I have a ton of location recommendations that we can discuss after you book your session depending on what you're looking for and where you are located.